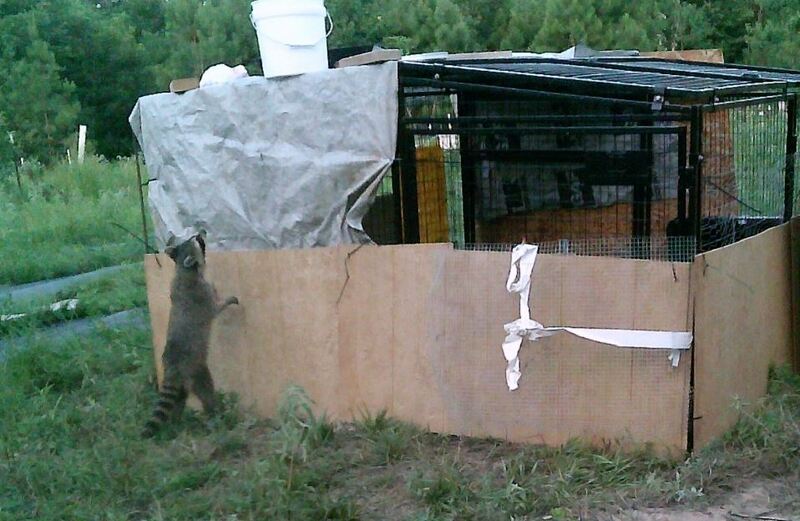 The ongoing raccoon saga. It just gets worse. The pictures are from my game camera during the day – this raccoon has no worries about day/night. It can get bait out of traps without triggering them and keeps killing. The cage is a heavy duty dog pen beefed up with wire hardware mesh and panels. Yet still he finds a way to get in. This is costing me a fortune in lost birds. The game camera shows he does not come back every night, it is every other or every third night. I sat out with a gun and shot last night, killed a possum, but the game camera proved he did not visit. 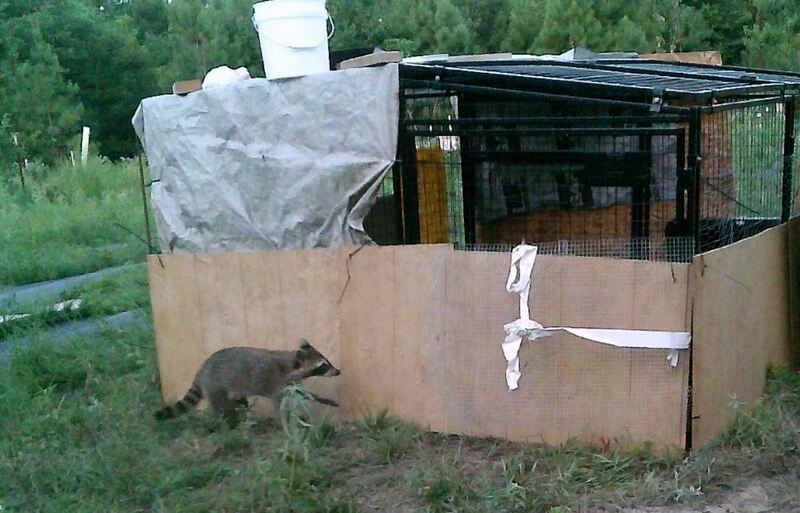 My brooders off site are full and it is time to move more birds to pasture, but I am sick of providing raccoons with free dinner. ← The monster is here!